We can’t get enough… Or we can? Everywhere we walk around, we find one or even many overwhelming our sight. Some draw attention because of the colourcombo. Some because of what is written. Some others draw attention because of their wicked designs. Some because there are so many. Though it is very annoying to get it off its surface, but it is cheap and a simple way to bomb the city with your sticky paper ! Sticker bombing, sticker tagging, sticker slapping… different terms to define the multitude of stickers or slap-up’s, yet another very common threat of the city. Not necessarily the walls become victim but ALL kind of surfaces from signboards to streetlights, from public elevators to electricitycabines… It is one of the techniques within the worldwidestreetartweb to express yourself ! Having its roots in the brandingworld, several artists started to use this simple, clean and cheap version of sticky papers in the streets as a sign they passed that place. 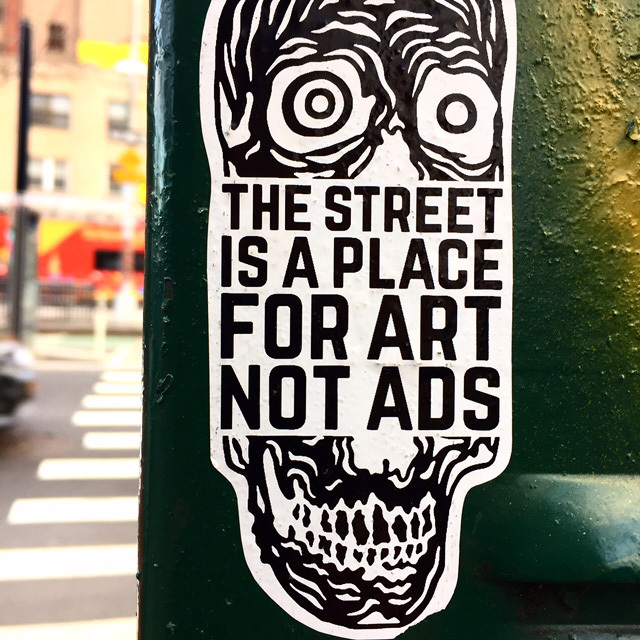 But not only this graffiti-rooted proof-of-evidence was a reason to stick, a reaction against that same advertizement world and in general a critique towards society, got defined as «subvertizing». Which combines subversive and advertising to ridicule the established world with wicked symbols and a variety of political slogans. You can collect labels from delivery companies, airlines, post offices or simply get your «Hello my name is…» stickers and do it yourself. One thing is for sure, you are never alone. Every piece that pops up, will be soon surrounded by many more! 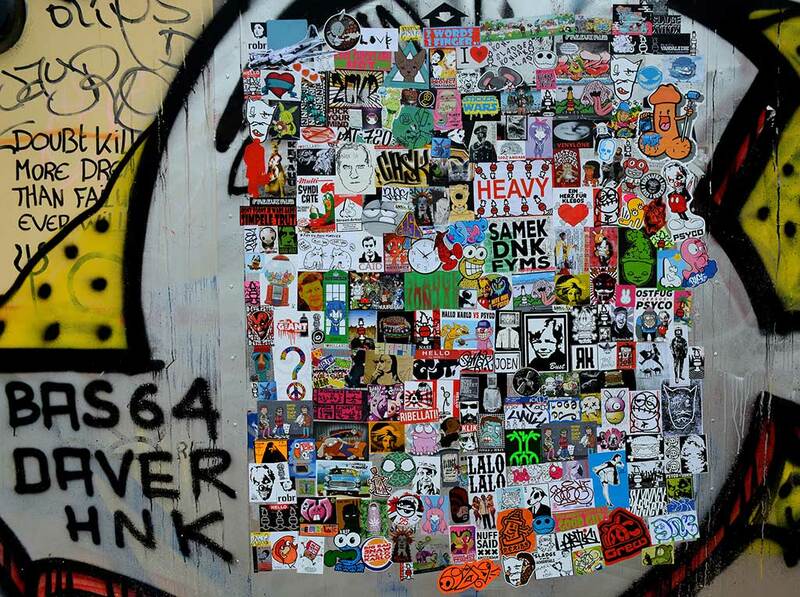 A very known one, we already highlighted with his famous stencils, is OBEY. He wrote a whole essay in the whereabouts and whyabouts he did what he needed to do. His DIY-philosophy inspires many to try out since he himself began drawing slogans on (sticky) papers and shirts. 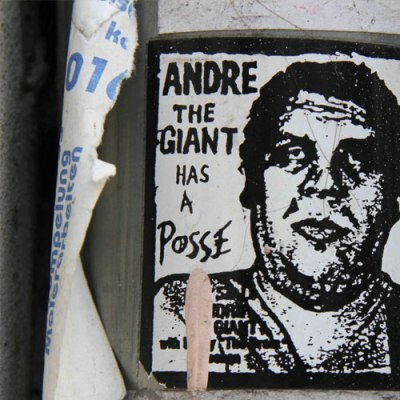 A very famous symbol that marks his punky attitude: «Andre the Giant has a Posse». 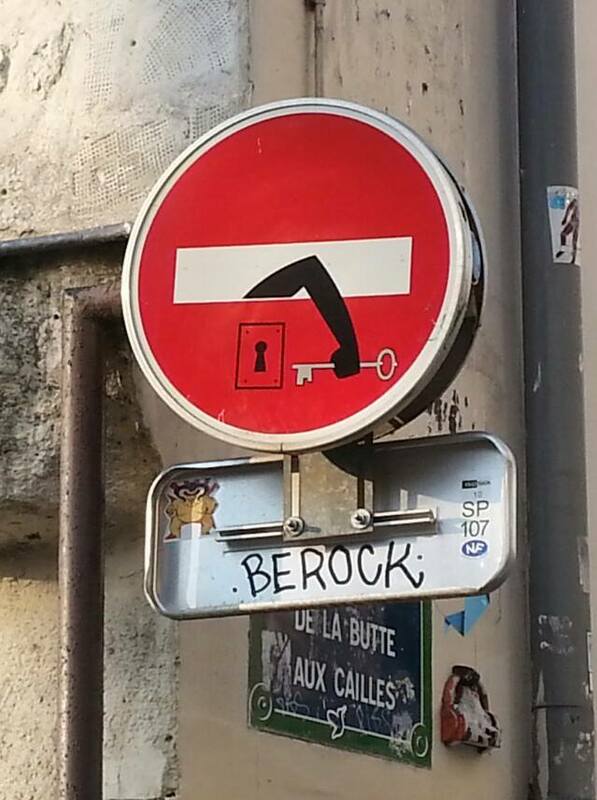 Another famous one, you might have seen somewhere somehow but maybe not as conscious, is the French-though-based-in-Italy street artist CLET Abraham. 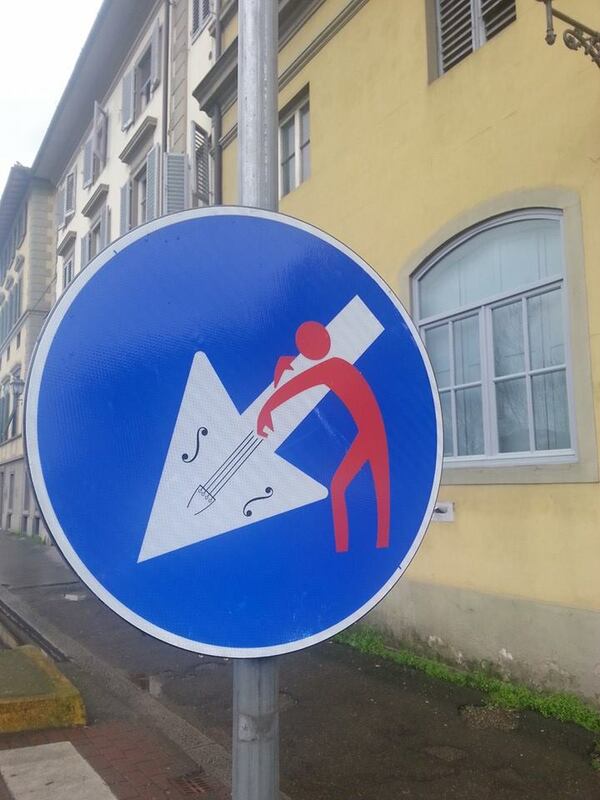 Unlike others, his stickers only come alive when produced on street signs. Florence, Milan, Rome… were the first cities he attacked, and very soon after many more in the whole wide world. Though he is at all times respectfull to what he interacts with, since the stickers are easily removable. You can print them low-cost in a copyshop or print them at home on some adhesive labels. Or you can create your own using all sticky paper you can find ! and ofcourse stick them around or exchange packages with likeminded sticky souls all over the world. 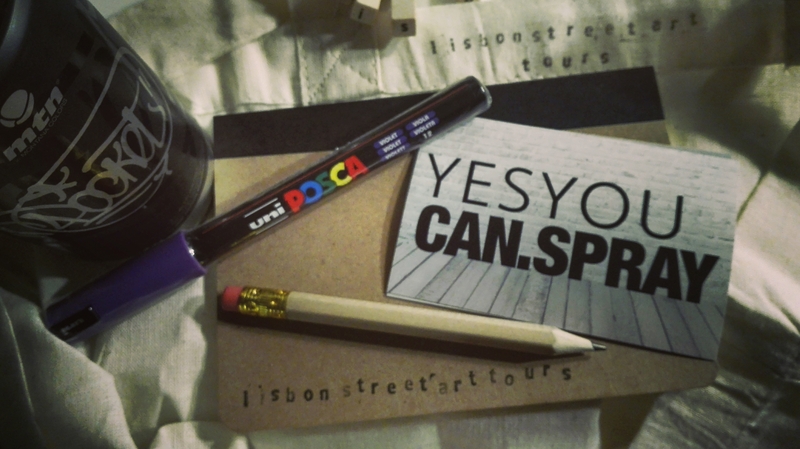 This entry was posted in Blog, Do It Monday and tagged clet, do it monday, do it yourself, lisbon, obey, slap ups, sticker art, stickerbombing, stickers, stickerworld, street art, yesyoucan. Bookmark the permalink.